Macaron vs Macaroon. What's the difference? Unfortunately, many shops misspelt the name as macaroons when they actually sell “macarons,” and pronounce it wrong. Due to this common mistakes on two similar words, we decided to clarify the difference between macarOns and macarOOns. MacarOns (rhymes with 'horn') are shown in two photos below. They are sandwich-like biscuits with crisp crusts and a soft filling in between (Macaron de Paris). MacarOOns (pronounce like 'broom' or 'room') are shown in photo below. They are dense cookies made either with coconut or with a coarse almond paste. In our Macaron & Choux Workshop (beginner's level), we focused on macarOns, but we will also teach you macarOOns. 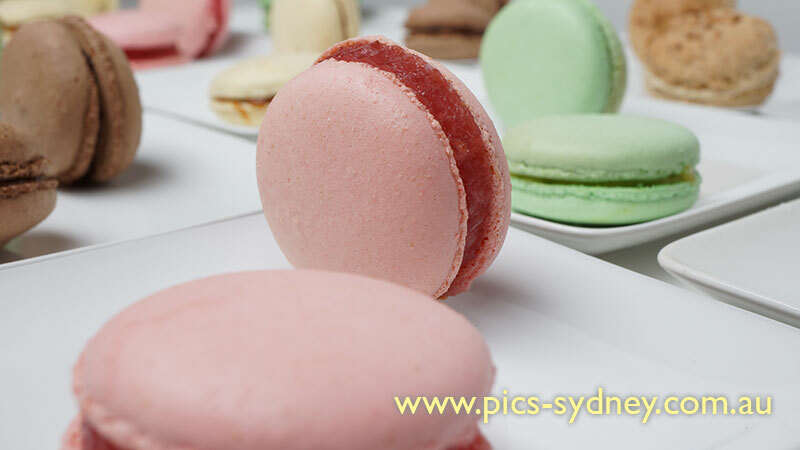 In our Macaron & Filling I (advanced level 1) and Macaron & Filling II (advanced level 2) Workshops, we teach you macarOns, the more advanced version.